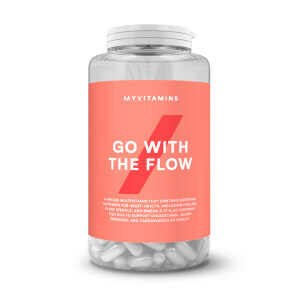 What Are myvitamins Self Defence Tablets? 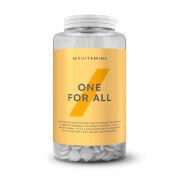 myvitamins Self Defence is a unique blend of 11 vitamins and minerals that can help you to feel healthy. 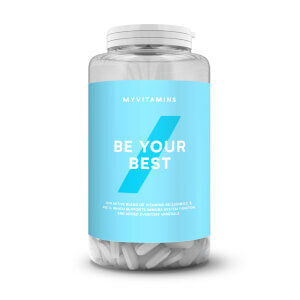 Why Use A Multivitamin For Immunity? Our immune system is put under extra pressure when we’re tired and busy. Remembering to make sure you’re getting enough of nutrients to fuel your immunity is another task that you probably don’t have time for. But a multivitamin can help. Developed with a unique blend of vitamins and minerals, our Self Defence is designed to support the function of your immune system to keep you feeling healthy. What Works Well With Self Defence? Our immune system needs essential nutrients to stay healthy, but it also needs rest. 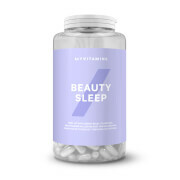 Make sure you’re getting enough sleep with our unique multivitamin, Beauty Sleep. Our experts recommending taking just three tablets a day. They can be taken together or spaced our throughout the day. Bulking Agents (Dextrose, Microcrystalline Cellulose), Vitamin C, Magnesium Oxide, Korean Ginseng, Resveratrol, Anti Caking Agents (Magnesium Stearate, Stearic Acid, Silicon Dioxide), Zinc Citrate, Betaine Hydrochloride, Vitamin D3, Grape Seed Extract, Beta Glucans (Oats), Vitamin B6, Coating (Hydroxy Propyl Methyl Cellulose, Glycerol), Vitamin B12. Never really comment on stuff like this, tried various products from my vitamins and find them really good, this product however.... never had an issue swallowing tablets before but these are too big and painful if not swallowed correctly. Feel I’m drinking lots of water to help them go down. Product I feel does work so it’s a shame. I was always that person to be ill - if there is a bug going round guaranteed i would get it - but since taking Self Defence I've definitely lowered how often I'm ill. Why didn't i find this product sooner???! Fast delivery and love the packaging! You know those people who are always ill? Yeah well that's normally me! However, since i've been taking "Self Defence" I haven't been ill once! 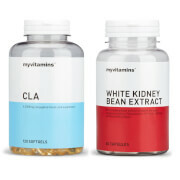 Its amazing the difference in my immune system and 99.9% sure it's because of this amazing product!